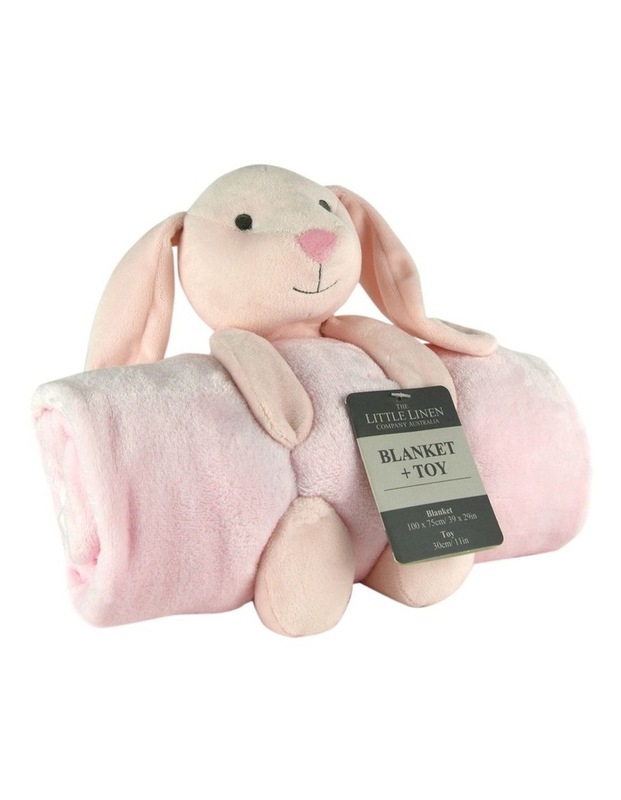 Our snuggly, fleecy blankets are the perfect everyday companions for all baby's walks. They are made from a soft plush fleece which is super-functional and hard wearing but still has plenty of personality. Also combined in a set with a super cute plush toy for cuddling! DESIGNED IN AUSTRALIA BY THE LITTLE LINEN COMPANY, MADE IN CHINA.